Kunene (also known as Kaokoland) is one of the thirteen regions of Namibia and home to the Himba ethnic group. 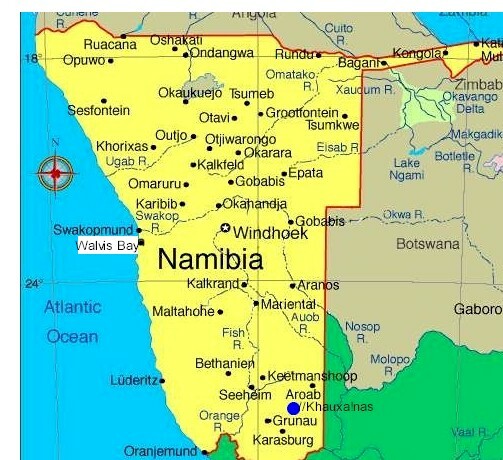 Compared to the rest of Namibia, it is relatively underdeveloped. This may be due to the mountainous inaccessible geography and the dryness that significantly hinders agriculture. The largest town and capital is Opuwo. 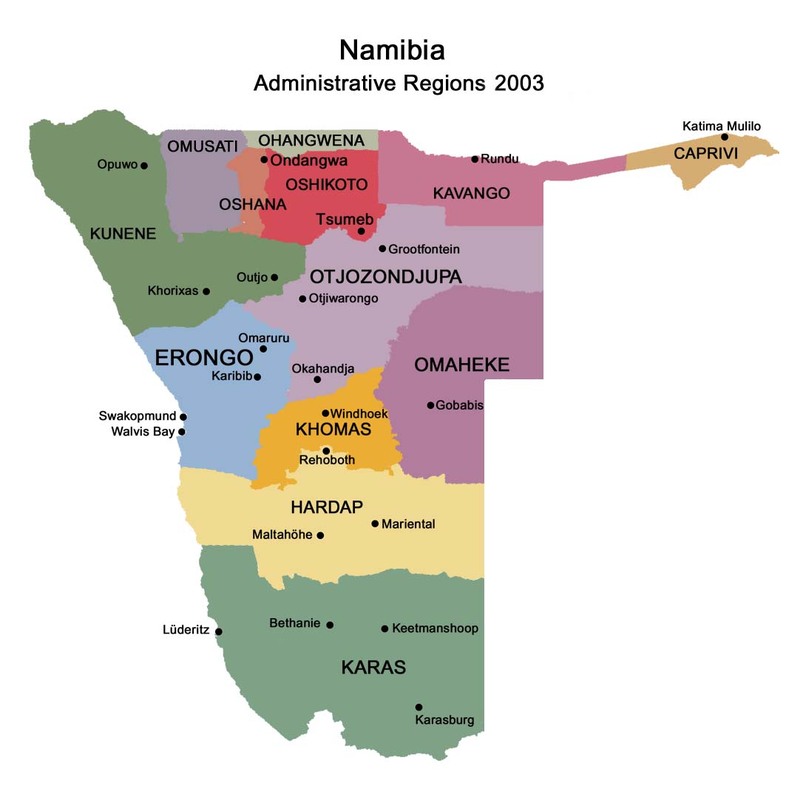 The region's name comes from the Kunene River which forms the northern border with Angola. The region comprises six constituencies: Epupa, Opuwo, Outjo, Sesfontein, Kamanjab, and Khorixas. Themistokles Dudu Murorua, a member of the United Democratic Front, has been governor of Kunene Region since 2005. A rivalry exists between the South West Africa People's Organization (SWAPO) and the UDF. In November 2008, SWAPO activists and politicians called for organization to "destroy" the UDF government in Kunene. SWAPO also claimed the UDF and DTA were "sabotaging" local government initiatives in the region due to incompetence. Central to the politics of Kunene Region is the battle over the proposed Epupa Dam in Epupa Constituency near the border with Angola. 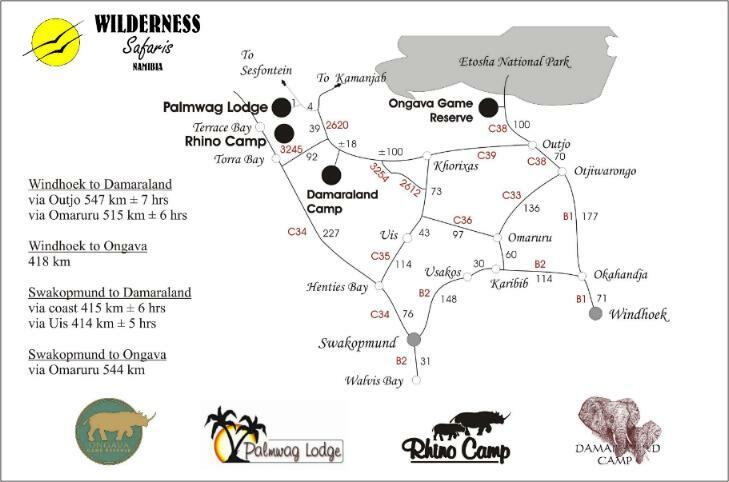 Business leaders based in Opuwo, who are mostly Ovambos, formed the Kaoko Development League which supports the proposed dam. The dam would bring in economic development to much of the Region but would interfere with the traditional way of life of the Himba people who reside in the area. A longtime rivalry exists between SWAPO and the Himba people. In the 2004 election for the National Assembly of Namibia, voters in Kunene Region supported numerous parties. The UDF earned the party's single highest vote total and 22.19% of the party's national vote total in the region. The only members of the 3rd National Council of Namibia, which is created by appointments from every regional council, who are not members of SWAPO were chosen by the Kunene Regional Council. These Councillors are Sebastian Ignatius !Gobs of the UDF and Ngohauvi Lydia Kavetu of the DTA. Cholera is a major concern in Kunene Region, particularly near the border with Angola. In December 2008, while the Zimbabwean cholera outbreak caued the deaths of hundreds of Zimbabweans, a similar but separate outbreak occurred in the northern Kunene Region constituency of Epupa. As 19 December, 3 people had died and 29 had become sick. In May 2008, approximately 15 people died of cholera as well. According to the Namibia 2001 Population and Housing Census, Erongo had a population of 68,735 (34,237 females and 34,487 males or 101 males for every 100 females) growing at an annual rate of 1.9%. The fertility rate was 4.7 children per woman. 25% lived in urban areas while 75% lived in rural areas, and with an area of 115,293 km2, the population density was 0.6 persons per km2. By age, 15% of the population was under 5 years old, 26% between 5� years, 48% between 15� years, and 7% 60 years and older. The population was divided into 12,489 households, with an average size of 5.3 persons. 40% of households had a female head of house, while 60% had a male. For those 15 years and older, 52% had never married, 12% married with certificate, 17% married traditionally, 12% married concensually, 2% were divorced or separated, and 4% were widowed. The most commonly spoken languages at home were Otjiherero languages (42% of households) and Nama/Damara (36%). For those 15 years and older, the literacy rate was 57%. In terms of education, 51% of girls and 49% of boys between the ages of 6-15 were attending school, and of those older than 15, 45% had left school, 9% were currently at school, and 41% had never attended. The employment rate for the labor force (56% of those 15+) was 77% employed and 23% unemployed. For those 15+ years old and not in the labor force (24%), 19% were students, 56% homeakers, and 25% retired, too old, etc. Among households, 73% had safe water, 66% no toilet facility, 22% electricity for lighting, 72% access to radio, and 81% had wood or charcoal for cooking. In terms of household's main sources of income, 35% derived it from farming, 37% from wages and salaries, 7% cash remittances, 7% from business or non-farming, and 10% from pension. For every 1000 live births there were 49 female infant deaths and 61 male. The life expectancy at birth was 57 years for females and 50 for males. Among children younger than 15, 2% had lost a mother, 5% a father, and 1% were orphaned by both parents. 5% of the entire population had a disability, of which 18% were deaf, 35% blind, 16% had a speech disability, 18% hand disability, 27% leg disability, and 5% mental disability.